FlashSpread automates the spreading process by converting PDF tax returns into financial reports with the click of a button. We’ve created a modern FinTech solution for an antiquated process. Solve your data and process problems. Don’t waste hours manually spreading deals that can be declined. 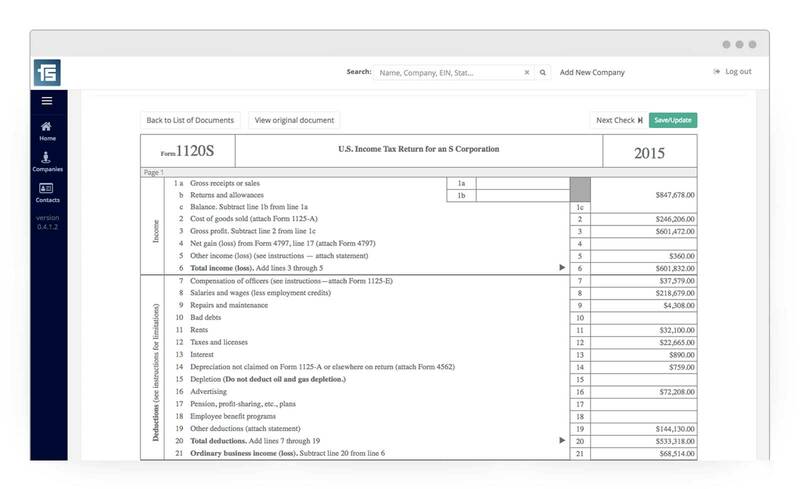 With FlashSpread, it takes only a matter of seconds to process a business’ tax return. Get instant results for faster decision making. Convert scanned Tax Returns into digital financial statements with the click of a button. Credit Decisions in a Flash! Instantly identify a deal that does not meet minimum lending requirements. Your process is better with FlashSpread. With FlashSpread, your process becomes efficient, less costly and productive. Because your time is valuable, we want to help you focus on better deals, quicker decisions and helping your customers. Just One Low Monthly Subscription With No Hidden Fees. Don’t waste time manually inputting data to analyze deals. This is especially wasteful for bad deals since most Lenders can only determine if a deal meets the minimum requirements after they spend the time spreading the data. No IT or Installation Required. Access Anywhere Anytime 24/7. Access FlashSpread from anywhere with an Internet connection. 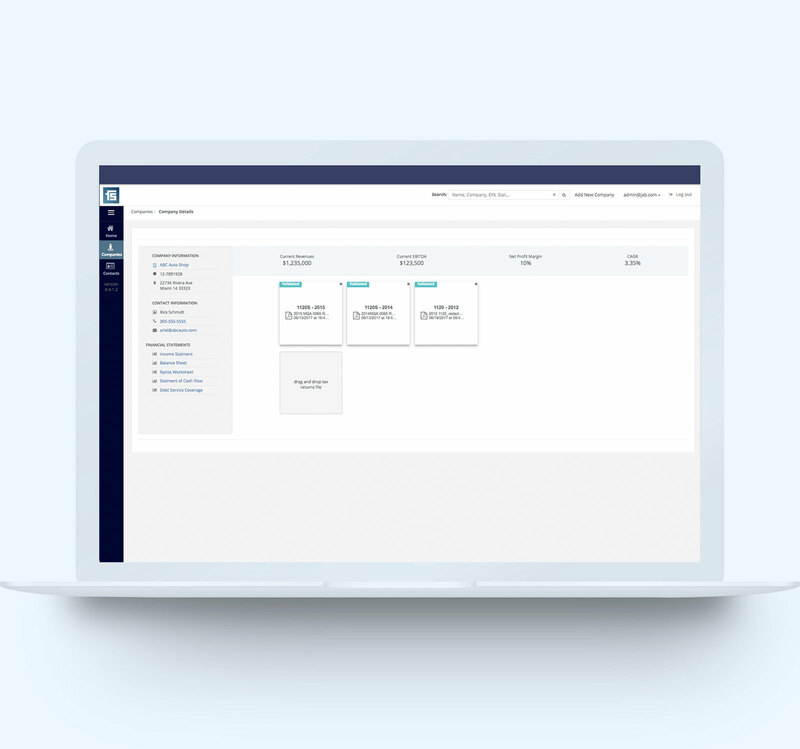 Enterprise users can quickly reap the benefits of FlashSpread without worrying about underlying infrastructure costs or maintenance. Log-on and spread tax returns in seconds. FlashSpread’s algorithm takes complicated processing and delivers the data you need in a simple to use dashboard. No matter the size of your company and institution, FlashSpread’s innovative and simple solution will allow you to spread tax returns in seconds, not hours. Contact a representative today to request a brief demonstration.